Optimal Business Performance helps entrepreneurs and business professionals with the increasing demands and challenges of the marketplace. This is an on-going process that is closely linked to the goals and objectives of the business with the aim of conducting performance management to secure that operations are functioning properly. Optimal Business Performance tightens strategic business objectives and day-to-day actions together to build coherent solutions to improving the business sales. 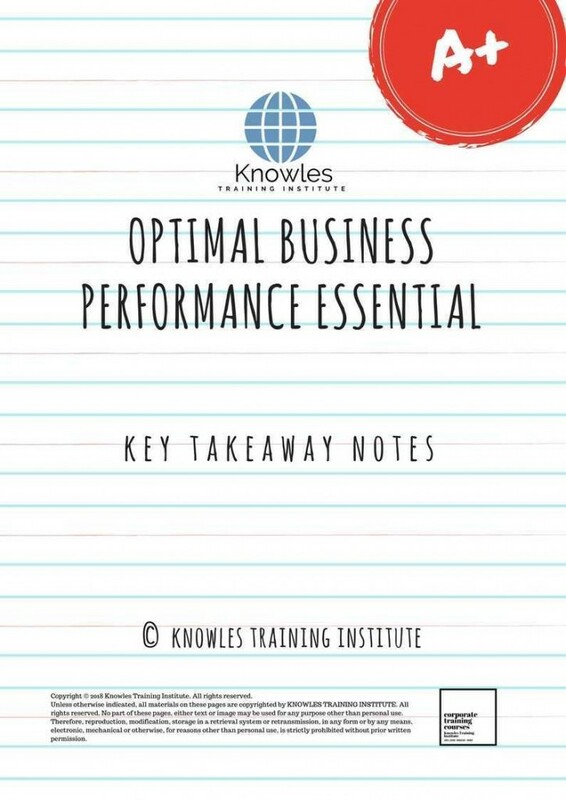 Acquiring knowledge on Optimal Business Performance provides an opportunity to entrepreneurs and business professionals to track the progress of goals and objectives, identify obstacles, and recognize employees’ performance. In this Optimal Business Performance course, participants will learn to set goals effectively for the business, market, and the employees. This course will discuss the strategic business objectives important to the day-to-day operations of the departments of the business, and conduct performance planning to guide the employees towards successfully achieving the business goals. 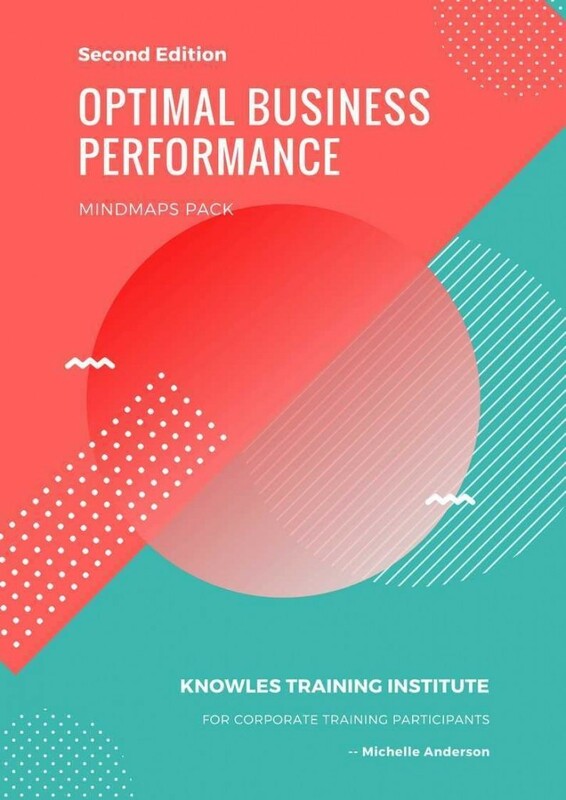 This Optimal Business Performance workshop is ideal for anyone who would like to gain a strong grasp and improve their Optimal Business Performance. 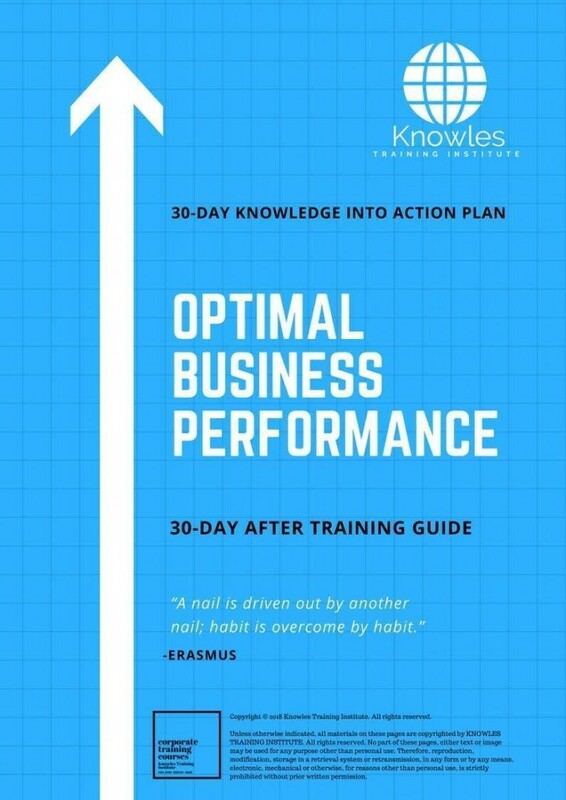 The duration of this Optimal Business Performance workshop is 1 full day. Knowles Training Institute will also be able to contextualised this workshop according to different durations; 2 full days, 1 day, half day, 90 minutes and 60 minutes. Why do we optimize business performance? How costly can Business Optimization be? 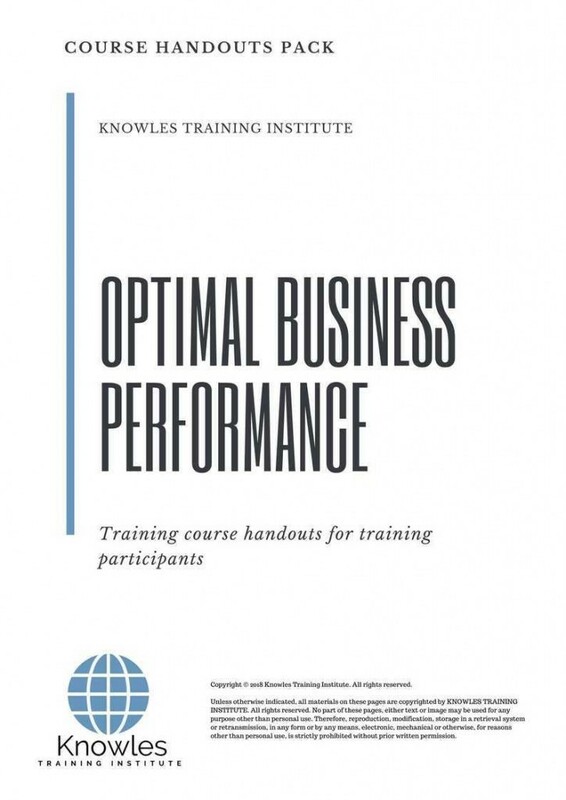 There are 3 pricing options available for this Optimal Business Performance training course. 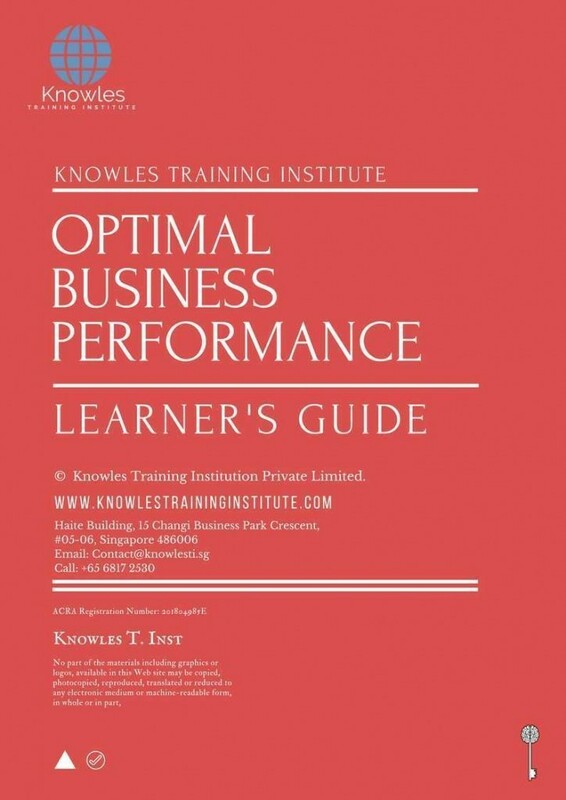 Course participants not in Singapore may choose to sign up for our online Optimal Business Performance training course. 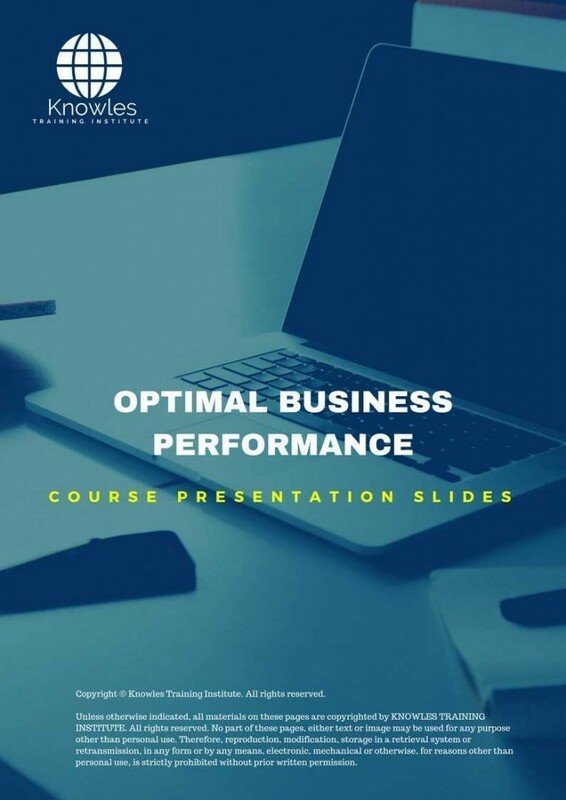 Request for this Optimal Business Performance course brochure. Fill up the short information below and we will send it to you right away! Register For This Optimal Business Performance Course Now! 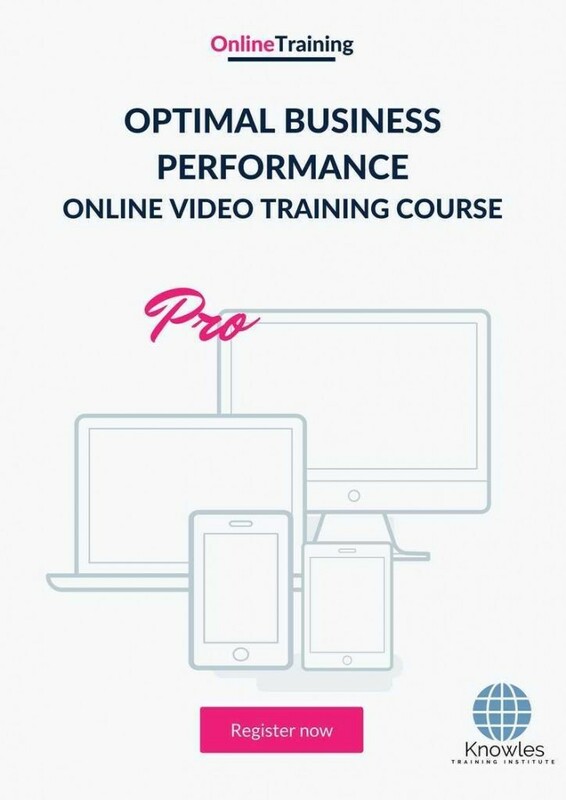 Share This Optimal Business Performance Training Course! Optimal Business Performance course, workshop, training, class, seminar, talk, program, programme, activity, lecture. 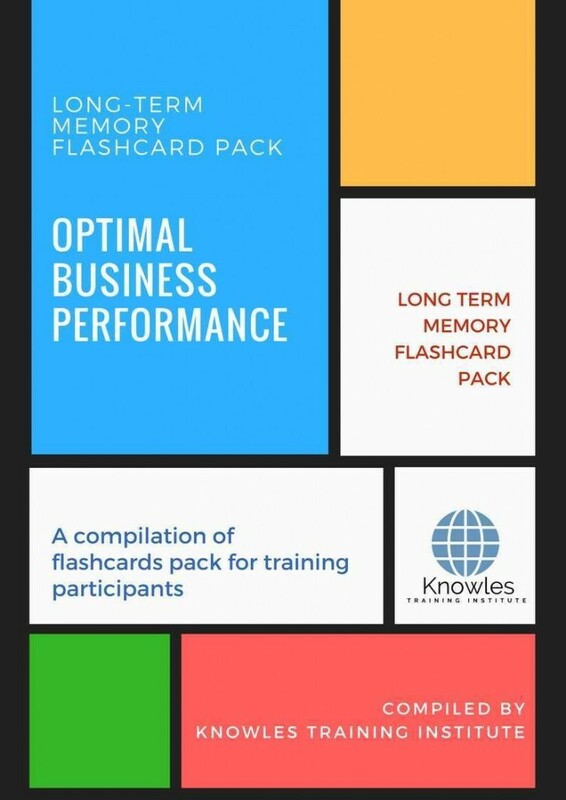 Optimal Business Performance courses, workshops, classes, seminars, talks, programs, programmes, activities, lectures in Singapore. Optimal Business Performance improvement tips, Optimal Business Performance techniques, improve Optimal Business Performance, improve Optimal Business Performance games, Optimal Business Performance improvement exercises, improve Optimal Business Performance power, how to have good Optimal Business Performance, how to have good Optimal Business Performance in studying, how to build up your Optimal Business Performance, how to improve Optimal Business Performance how to improve Optimal Business Performance course in Singapore. Enhance, boost, build up, enlarge, heighten Optimal Business Performance course in Singapore. Increase, intensify, raise, reinforce, strengthen Optimal Business Performance. Upgrade, amplify, boom, elevate, exaggerate, magnify, grow, gain Optimal Business Performance. Develop Optimal Business Performance, multiple, power up, beef up, bolster, establish, extend Optimal Business Performance. Invigorate, restore, step up, toughen, empower, fortify, regenerate Optimal Business Performance. Rejuvenate, renew, escalate, expand, maximize Optimal Business Performance. Powerful, mighty, impressive, competent, great, excellent, exceptional Optimal Business Performance in Singapore. Superb Optimal Business Performance. 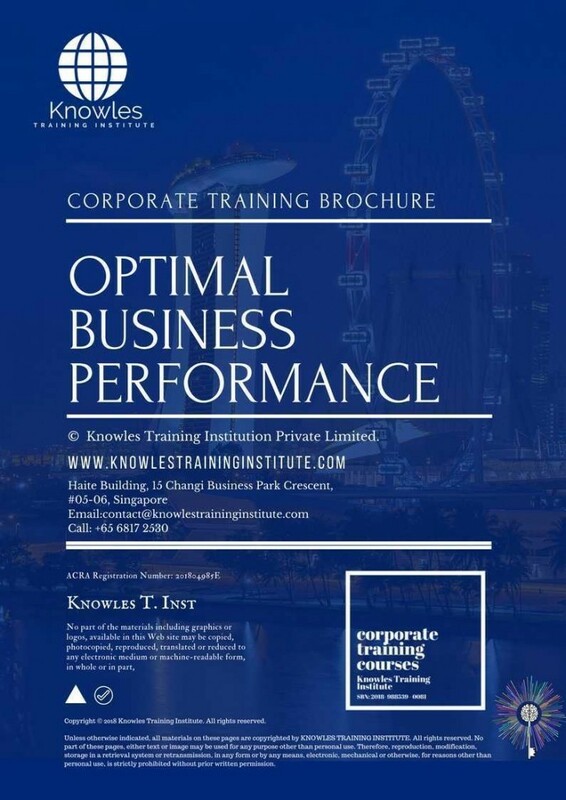 Super, superior, strong, solid, active Optimal Business Performance training courses and workshops in Singapore. Optimal Business Performance enhancement, booster, building up, enlargement, heightening, increment, strengthening, amplification. Optimal Business Performance magnification, growth, development, power, empowerment, regeneration. Optimal Business Performance rejuvenation, development, escalation, expansion. 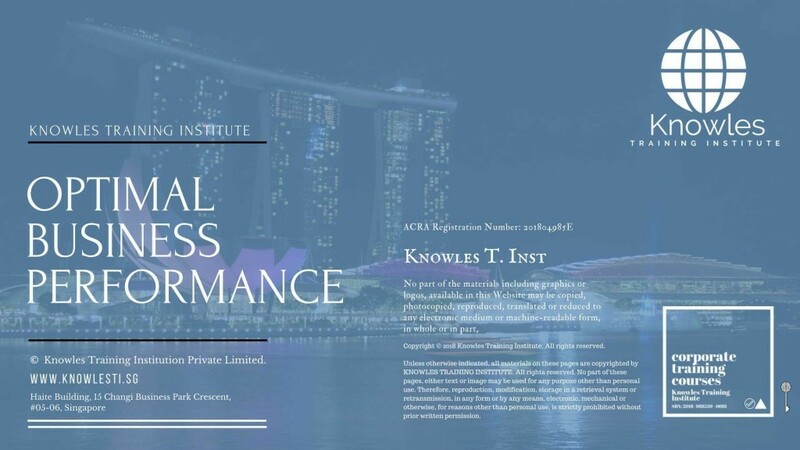 Optimal Business Performance maximization, power training courses & workshops in Singapore.